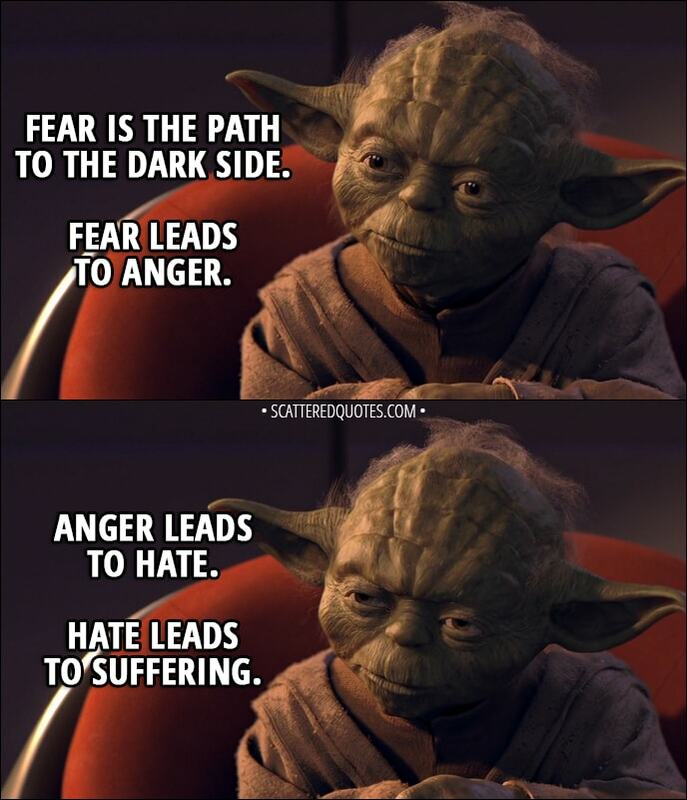 Yoda (to Anakin): Fear is the path to the dark side. Fear leads to anger. Anger leads to hate. Hate leads to suffering. I sense much fear in you. 10.1.2018 Fear is the path to the dark side.